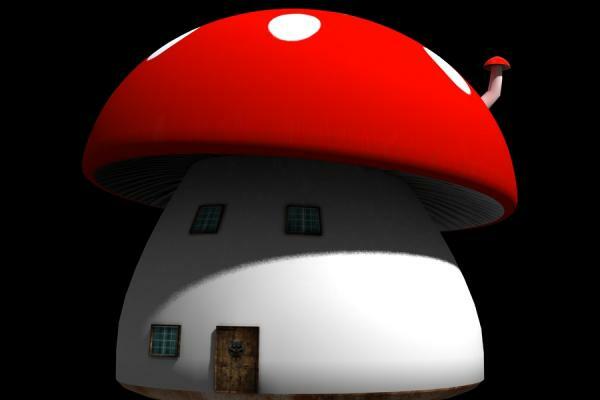 Mushroom House for you to play with. Will be working on a much larger version for your characters to play inside. This is an OBJ file with MAT file that you can import into DAZ or POSER or any program that will allow importing of OBJs. This is just one of many i am working on. Let me know what you think. LadyMauve (6 years ago) Inappropriate? Thanks so much from a fellow "Aussie". Your renders are awesome and thanks very much for freely sharing your creativity. katanas (6 years ago) Inappropriate? Ha, Ha, Ha, look out Smurfs.